“Organizing With Denario” the future of organizing poster & history combo-pack is available for purchase from any of our authorized distributors for $15. The poster comes with the condensed 18-page 2nd edition, which comes with a free VIP mate3.com advocacy assistance membership. Since Febuary 2019 the poster pictured above has been distributed to promote good customer service and to reward those that practice good customer service. There's a special raffle number and instructions on each poster. To see pic's of some poster awaredee's go to ourdetroit.info click here! This month’s winning number is 000411, contact Perry at mate3@mate3.com or 313 742 6018. This prize must be claimed before 5-1-2019. 1st Friday of March-2019 winning number is 000419. 1st Friday of Feb-2019 winning number was 000440. A new line of special occasion posters by CTSTS offer an alternative to traditional cards. A new special occasion poster will be added in May of 2019. The official mate3.com networking fundraising poster #1 is continuing to raise support for 1st party claim based organizing. As of 11/13/2019 over 40K posters have been purchased or distributed for sell. Proceeds from this poster sell will go to finding 1st party claims and experiences that can direct more advocacy for amputees. Update: California Shoreline Preservation Based Activism Poster has raised 2.5K to support clean shorelines through ocean phosphorous & acidity awareness education. The campaign started in California in 2018 and is now spreading to other states. This special edition poster titled "Global Us Activism" is a collaborative effort by the ctstsposters.com design team. This collector item poster is expected to raise 50K to mentor and connect advocacy through 1st party claims and experiences. Order yours today! We are selling our Senior Citizen Advocacy Based Poster to help pay electric bills for low-income victims of broken furnaces. Senior citizens get high electric bills due to keeping warm while furnaces are broken. In Highland Park, MI there was a furnace broken for 10 days; the average heating cost was up by 200%. The 2nd edition of the Financial Literacy Based Activism poster will be on sale starting January 1, 2019. Proceeds from sells will support financial literacy education for disadvantaged Black children. 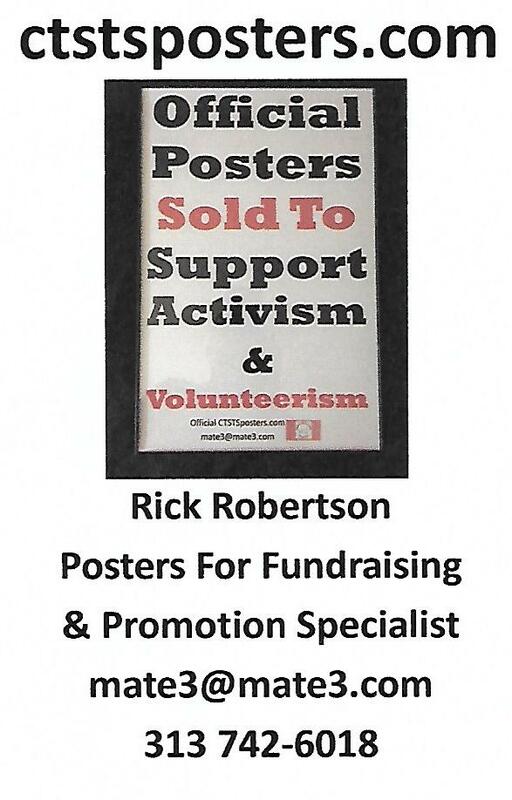 Our posters inspire, educate and celebrate individual and group activism & volunteerism. All official posters have our licensed service mark and are certified for buying, selling and trading. You can support the activism of your choice when you purchase any of our official products. The products are shipped globally. For more information and personal assistance email: mate3@mate3.com We do accept most forms of payment and offer most forms of delivery. You can contact us by phone @ 313 742-6018.